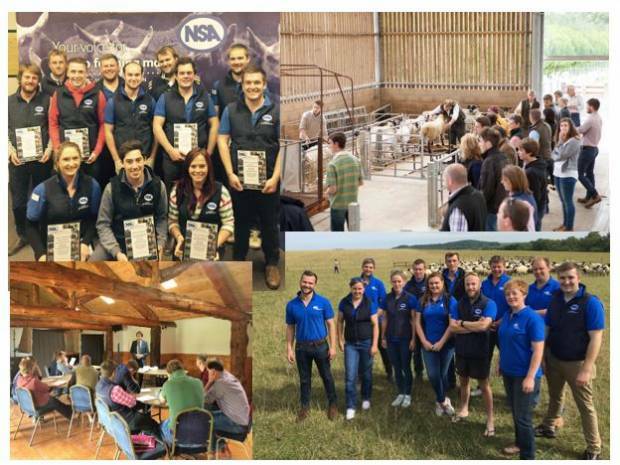 More than 100 young people with an interest in the sheep industry joined NSA for its annual Next Generation event on Wednesday 15th November, held at Welshpool Livestock Market this year. The day opened with guest speaker Rhydian Glyn, sheep farmer from Machynlleth, Powys, who shared his experiences of gaining a FBT and continuously improving his business. This was followed by presentations from some of NSA’s Next Generation Ambassadors who entertained the crowd with their experiences so far of working in the sheep industry, whether that be working on the family farm, as an employed shepherd, managing multiple shepherding contracts or starting a sheep enterprise from scratch. Attendees were then invited to attend a selection of workshops, arming those with a keen interest in sheep with information to advance their career as they look to progress. NSA thanks all speakers involved who kindly gave up their day to host each of the workshop sessions. Held as part of the NSA Next Generation project, Wednesday also saw applications for the 2018 NSA Next Generation Ambassador group open – for one month only. The group is made up of 12 individuals from England, Wales, Scotland and Northern Ireland, selected to take part in a mixture of five technical and personal development sessions throughout the year.